Looking at the numbers, it's hard to justify voting for Fred McGriff over Edgar for the Hall of Fame, but it happened. 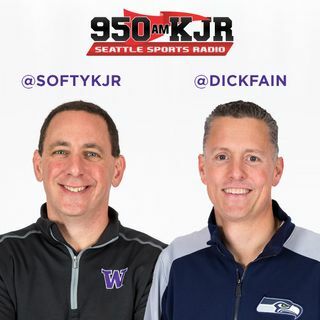 On Fun with Audio, Stephen A. Smith is annoyed by Kliff Kingsbury, The Fonz has positive words for Pete Carroll and Seahawks fans, and Russ and Baldwin sing during the Dallas game. Phil Rogers voted for Edgar for the Hall of Fame, and then whited him out. He attempts to justify his reasoning.